Deliciously thick, flavorful and aromatic, you'll find our Balsamic Glaze & Sauce has many of the characteristics of the very expensive aged Balsamics. To have a superior taste quality in a Balsamic Reduction you must start with a premium Balsamic Vinegar - this is what sets Mandarano Balsamic Glaze & Sauce above the rest. Produced and bottled entirely in Modena, Italy using authentic regional grapes. The recipe, the grapes, the barrels, the limited production – it's the artisan approach to bringing something wonderful to your table. Professional chefs have long reduced balsamic vinegars (a time-consuming, expensive and not-always-precise process) to create a rich and complex glaze for enhancing cuisine and to use as an elegant garnish. Now effortlessly, you can too! It's the perfect compliment to almost any food — sweet yet sour; thick, rich and aromatic but not overwhelming — whether you are using it as an aesthetic savory finish, adding it to a salad dressing, using it in a marinade or a sauce base or to garnish your favorite fruits, ice cream or chocolate! What's your favorite way to use balsamic vinegar? Deadline: Saturday, August 20, 2011 at 12 midnight CST. 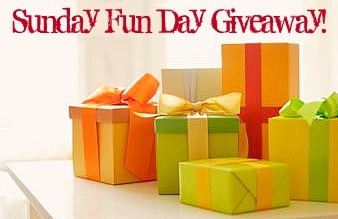 One winner will be randomly chosen by Random.Org's Interger Generator based on the number of your comment and will be announced on Sunday, August 21, 2011, within next week's Sunday Fun Day Giveaway. Good luck! I admit to being a Balsamic junkie. Love it drizzled on tomatoes, avocados, mozzarella, on cukes with sour cream, or licked off my fingers! I like using the glaze for topping caprese salads. I just love Balsamic vinegar on almost anything. It is good with fruit and yogurt, green salads, fresh veggies - tomatoes, cukes. My favorite reduction is no longer made and I really need to find a new favorite. Lately I've used my fig balsamic vinegar as a dressing on salads and also to roast strawberries to make strawberry ice cream. SO YUMMY! My favorite would have to be drizzled over tomatoes and mozzarella. So good! I'm the weirdo who's never tried Balsamic Vinegar. I love balsamic vinegar with basically most Italian dishes. Whether it be a balsmic reduction sauce or as a dipping sauce....so good. I love it over fresh sliced tomatoes. A wonderful treat that's healthy, too! I love it with rosemary, salami, mozzarella cubes and tomato. Or it's great on brussel sprouts! Strawberries! YUM! Mozzarella, tomato and basil!!! YUM YUM!!! I love to use balsamic vinegar in marinades for all types of meats...it is one of my pantry staples!! I make a sauce of balsamic and brown sugar to go over any kind of fish! Delicious, easy and fast! I love balsamic! My new fav I just had at a cute cafe. Drizzled over thin slices of green apple! OMG! I loved it so much I went out last weekend and bought green apples to do this at home. Try it...you will be in love. I love them drizzled on strawberries and a chunk of good parmesan. Just stumbled upon your blog and am drooling over all your recipes. Yummy!! I've actually never used balsamic vinegar but would like to give it a go.